Powerful V8 engines, thrilling driving dynamics and distinct design have made the Mercedes-AMG C 63 model range a bestseller. The Saloon, Estate, Coupé and Cabriolet] now feature a sharper exterior, a modernised interior and even more agility. The fast-shifting AMG SPEEDSHIFT MCT 9G transmission, the electronically controlled rear-axle differential, and the nine-stage AMG TRACTION CONTROL (in the C 63 S) take longitudinal and lateral dynamics to a new level. AMG DYNAMICS enhances driving pleasure, too: this built-in dynamic handling control extends the functions of the ESP®, allowing precisely measured torque distribution on the rear axle (Torque Vectoring), which increases agility while maintaining a high level of stability. 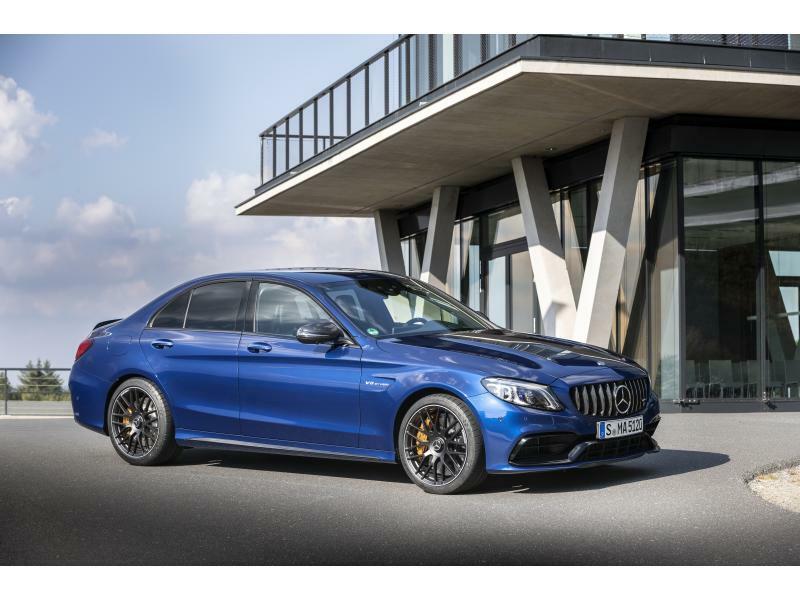 The new C 63 has a more emotive look, too: the AMG-specific radiator trim underscores the brand identity while emphasising the muscular appearance. The interior benefits from an optional fully digital cockpit with unmistakable AMG displays and the new generation of AMG steering wheels.